Upheaval around the world. In North Korea, Kim Jong Un orders his uncle executed as a traitor. In Iran, claims that an American captive, Bob Levinson, was really working for the CIA. And in the Ukraine, protestors brave freezing temperatures and take to the streets against their President. 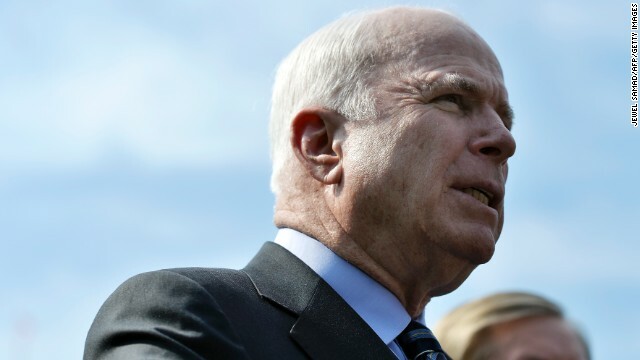 We’ll look at all the global hot spots with Arizona Senator John McCain. The old adage holds that a successful compromise is an agreement that no party is happy with. Congressman Paul Ryan and Senator Patty Murray crafted a deal that made it through the House, but will the Senate follow suit? We’ll talk to two former directors of the Congressional Budget Office – Peter Orszag and Doug Holtz-Eakin – and Time Magazine Assistant Managing Editor Rana Foroohar about the good and bad in the deal. And, Speaker John Boehner’s “Are you kidding me?” moment, Vice President Biden’s latest guarantee, and PolitiFact’s Lie of the Year, with our panel Washington Post columnist Dana Milbank, Cook Political Report National Editor Amy Walter and National Review Senior Editor Ramesh Ponnuru. Watch “State of the Union” Sunday at 9amET and NoonET.